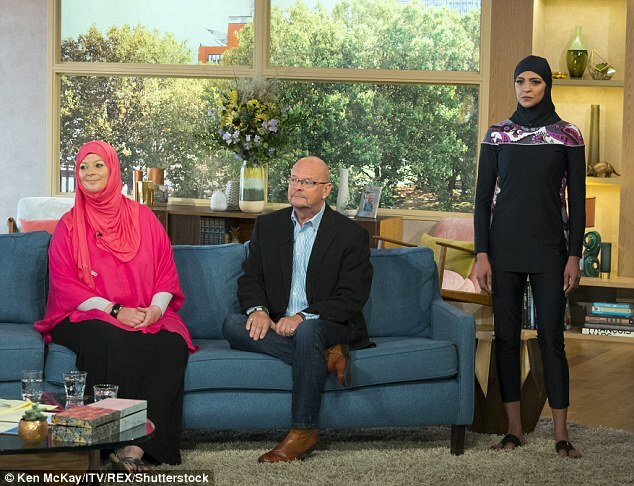 UK: MORONS DISCUSS ISLAMONAZI (NON)FASHION ON TV, SHARIA/ISLAMIC SUPREMACY NOT MENTIONED ONCE…….. – The Tundra Tabloids……. UK: MORONS DISCUSS ISLAMONAZI (NON)FASHION ON TV, SHARIA/ISLAMIC SUPREMACY NOT MENTIONED ONCE……..
Never trust the mediocre media to handle serious issues, you’ll always be left uninformed and disappointed. Screw the entire debate about wearing islamonazi gear, entirely irrelevant when the country is being flooded with people who will eventually overturn newly enacted laws restricting their garments. Also, I would advise people debating Islamonazis in public to remind the audience about what’s really in question, Islamic supremacy by adherents to an ideology that has 1.6 (their often quoted figures) members, which has at it’s core belief the ideal of manifest destiny. These clothes imposed upon women/indoctrinated into wearing them are signs of that supremacy, the sharia, which is against all non-muslims, who are to be subjugated (the reason behind jihad) then given three choices, convert, submit as a dhimmi or die. Islamogarb is an outward sign that Islam has arrived, we are here to compete in th epiblic square and eventually take it over, there is no co-existence with us, but eventual surrender and subjugation, no matter how long that takes. NOTE: Lauren Booth is an islamonazi Jew hater, inviting her onto any program was the first mistake if the intention was not to do a hostile interview with her. Lauren Booth appeared on today’s This Morning to speak out against France’s controversial ban of burkini on its beaches and explain why she has chosen to embrace wearing religious clothing. The sister of former Prime Minister Tony Blair’s wife Cherie, who converted to Islam in 2010 following the breakdown of her first marriage, said wearing a burkini or burka is a ‘personal choice’ and women shouldn’t all be forced to dress the same. Previous Post Previous Post ISLAMONAZI ISLAMIC STATE USING FAKE SYRIAN PASSPORTS TO SNEAK JIHADIS INTO EUROPE……..